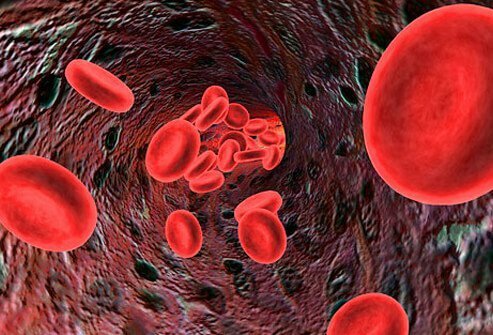 What Causes Hemophilia A and B? What Are the Exams and Tests for Hemophilia? What Are the Medications for Hemophilia? Hemophilia is a bleeding disorder in which blood isn't able to clot normally resulting in abnormal, spontaneous, or excessive bleeding by iStock. Hemophilia is an inherited bleeding disorder. The blood of someone with hemophilia will not clot normally. Bleeding may occur spontaneously or following injury. Hemophilia occurs in 2 forms, hemophilia A and B. In both forms, a gene is defective. The defective gene interferes with the ability of the body to produce the clotting factors that allow for normal clotting. The result is a tendency for abnormal, excessive bleeding. With either disorder, you may show a mild form in which bleeding occurs only under severe stress, such as major injury. Moderate cases rarely will have spontaneous bleeding but will bleed after surgery or trauma. Severe cases will exhibit spontaneous bleeding-that is, bleeding without any recognizable trauma. Spontaneous bleeding can occur in any part of your body, but it is usually in the joints of the fingers, wrists, feet, and spine. Call your doctor if you cannot control external bleeding with simple pressure. Men have only one X chromosome. If that chromosome carries the abnormal hemophilia gene, the man will have the disease hemophilia. Both hemophilia A and B are linked to the X chromosome, which means they primarily affect men. Women have two X chromosomes. Even if one of the X chromosomes carries the defective gene, the normal gene on the other X chromosome will protect the woman from hemophilia. The gene does not affect them, but they carry it and pass it on to their children. If a woman is a carrier, she has a 50% chance that her sons will have hemophilia. Likewise, she has a 50% chance that her daughters will be carriers of hemophilia. This assumes that the woman's partner is not a hemophiliac. A man who has hemophilia has a 100% chance that his daughters will be carriers, since they must inherit the defective x chromosome from the father. His sons will not be affected if the mother is not a carrier. The transmission of this gene to offspring accounts for most cases of hemophilia. The remaining cases occur from spontaneous changes in genes responsible for causing hemophilia. If a toddler has hemophilia, bleeding often results from falls. The bleeding may repeat if the fall disrupts a clot. Blood in the urine (hematuria) commonly occurs with hemophilia. However, it can also occur in people without hemophilia. Many people will have microscopic blood in urine, not visible with the naked eye. Gross hematuria, blood you can see in urine, also is very common and may mean a bladder infection. You cannot see bleeding into muscle tissue and joints if you have hemophilia. But you will have pain and may see swelling. Bleeding into a muscle usually follows trauma. Common sites are the thigh, calf, and forearm. Bleeding into joints is the most crippling aspect of hemophilia as well as the most common site. The disease most commonly affects the knee followed by the elbow, ankle, shoulder, and wrist. You may feel a warm prickly sensation before you develop pain and swelling in the joint. The degree of swelling does not match the severity of your bleeding. You may be bleeding significantly but show only a little swelling. Bleeding into a joint not only makes that joint more likely to bleed in the future but also leads to progressive stiffness. This joint, which is now more prone to re-bleeding, is called the target joint. Bleeding into the central nervous system can be life threatening. Usually only severe hemophiliacs exhibit such bleeding, but it may occur in both moderate and mild hemophilia. Bleeding may occur in or around the brain (intracranial) or into the spinal cord (intraspinal), depending on the situation. Injury to your head or spinal column normally causes this bleeding. Your injury may seem minor. Adults are more prone to having intracranial bleeding without injury (spontaneous bleeding), accounting for nearly 50% of the cases. Headache, nausea, vomiting, and seizure often accompany bleeding into the brain. Backache or even paralysis can accompany bleeding into the spinal column. Call your doctor after any significant physical trauma. Call your doctor also if you cannot control external bleeding with simple pressure. Because you may have internal as well external bleeding, always err on the side of safety and call your doctor. Be particularly concerned about bleeding into your joints or your central nervous system because of long-term complications and the possibility of death. Because hemophilia treatment involves blood products, you often may need to be treated in an emergency department or other health care facility, especially if you have severe hemophilia. Your doctor should evaluate any head or spinal trauma. Any person with hemophilia who has significant trauma anywhere on the body should be evaluated at a hospital regardless of the severity of the disease. Talk with your doctor before undergoing any surgeries, invasive treatments, or invasive tests. A family history of bleeding disorders aids in diagnosing hemophilia. But certain tests help quantify the disease. Pronounced bruising at childbirth or bleeding with circumcision may suggest a case of severe hemophilia. A moderate case of hemophilia may become apparent during the toddler years when falls are common. A mild case may not become evident until adulthood when you need surgery. 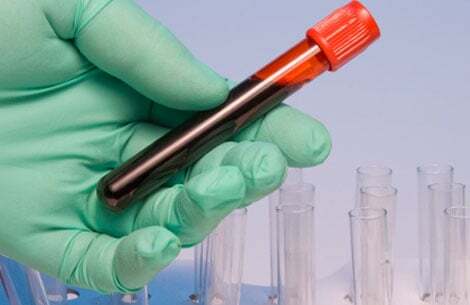 Blood tests can be performed if you have any reason to suspect hemophilia. Blood may be checked directly for certain factors. Test results will be low depending on which form of hemophilia you have. In either case, your activated partial thromboplastin time (aPTT), a measurement of the clotting of blood, will be prolonged. Most often people with hemophilia require medical treatment if bleeding or an injury occurs. You can take the following simple actions at home. Avoid aspirin and anti-inflammatory agents such as ibuprofen (Advil) because they may further interfere with blood clotting. If you have blood in your urine, drink plenty of fluids to ensure hydration. Apply direct pressure to any site at which you are bleeding externally. Apply ice and put a splint on affected joints after bleeding to provide relief from symptoms. If you have the training on the process, you can give yourself factor replacement therapy. But you should do so under consultation from your doctor. Treatment of hemophilia aims to stop your bleeding. Doctors stop bleeding either by overcoming the deficiency in the clotting factors or by aiding in blood clotting. Giving a medicine called DDAVP (Octostim, desmopressin, or Stimate) may increase levels of Factor VIII (8) temporarily. But the medication will not be effective in severe cases of hemophilia or in hemophilia B.
Aminocaproic acid (Amicar) and tranexamic acid (Cyklokapron) assist your clotting by slowing down the ongoing destruction of clots. These medications are useful in oral bleeding in either hemophilia A or B. You may be given an IV clotting factors. You are given purified Factor VIII(8) or IX (9) depending on the type of hemophilia you have. Doctors determine the amount to give you by where your bleeding occurs and how much you weigh. The site of your bleeding also will determine the number of days you must be given the factor. With proper medical care, people with hemophilia can expect to live full and productive lives. Yet complications still occur. During the late 1970s through 1985, a large portion of severe hemophiliacs had contracted the HIV virus (the virus that causes AIDS) from blood products. Because of the development of genetically engineered factor and improved purification processes, no case of HIV transmission from clotting factors has been documented since 1986. Those using blood-derived products are still at risk for getting hepatitis. Hepatitis A can resist some purifying methods, but no hepatitis C transmission has been reported since 1997. Doctors recommend that all people with hemophilia receive the hepatitis B vaccine. Despite current treatments, people with hemophilia still undergo degenerative changes due to bleeding in the joints. When repeated bleeding occurs, chronic swelling results in that joint. The swelling leads to degeneration of cartilage and bone. Ultimately this process will cause chronic joint stiffness and pain. "Clinical manifestations and diagnosis of hemophilia"
What was the treatment for your hemophilia? What were the symptoms of your hemophilia?